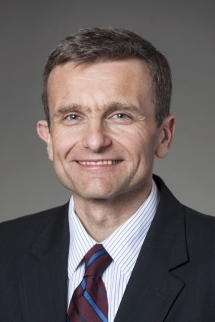 Amir Pasic, new dean of the Indiana University Lilly Family School of Philanthropy, has officially taken helm of the school. Pasic assumes the leadership of the world's first school devoted to the study and teaching of philanthropy. The Lilly Family School of Philanthropy’s academic degree programs, training and groundbreaking research equip philanthropy and nonprofit professionals, scholars, donors and volunteers to accomplish their important missions more knowledgeably and effectively. Pasic has served in a number of key leadership positions in philanthropy and higher education. Before embarking on his new role, he was vice president for international operations for the Council for Advancement and Support of Education (CASE), a global professional association serving educational institutions and their advancement professionals responsible for alumni relations, fundraising, communications, marketing and allied areas. He led the growth of its operations in Europe, the Asia-Pacific region, Latin American and Africa. Under his leadership, CASE's international annual revenue experienced double digit growth and its overseas memberships and conference attendance reached record levels. Prior to joining CASE, Pasic was associate dean for development and strategic planning at the Johns Hopkins University School of Advanced International Studies (SAIS) as well as executive director of the Foreign Policy Institute, where he continues to serve as a fellow. He previously served as deputy director for the world security project of the Rockefeller Brothers Fund and deputy vice president for advancement at The George Washington University, and was a librarian at the Library of Congress. He began his career with faculty appointments at Brown University's Watson Institute. Pasic earned his doctorate in political science at the University of Pennsylvania. He holds a master's degree in international relations from Johns Hopkins University and a bachelor's degree in economics and political science from Yale University. He also serves as trustee of the Carnegie Council for Ethics in International Affairs.